Based on James R. Hansen’s book “First Man: The Life of Neil A. Armstrong,” Universal Pictures’ First Man reveals intimate insights into the global hero’s private life and previously unknown character-defining moments. Oscar-winning director Damien Chazelle (La La Land) approached the film from interior angles in order to immerse audiences in this impossible journey. Chazelle’s fascination with the messiness of mastery drew him to Armstrong’s story. As well, his interest in injecting into a massive period movie—one filled with action set-pieces—a genuine sense of raw spontaneity felt like a natural evolution. While the director admits that type of filmmaking is usually impossible within the constraints imposed by scale or big technical effects, he felt that a tight collaboration with Ryan Gosling—extending to their bond with their fellow production team—would make it feasible. The director’s goal is to give audiences a firsthand perspective of what it required to train for this type of mission, as well as be the one inside the first cockpits of this type. 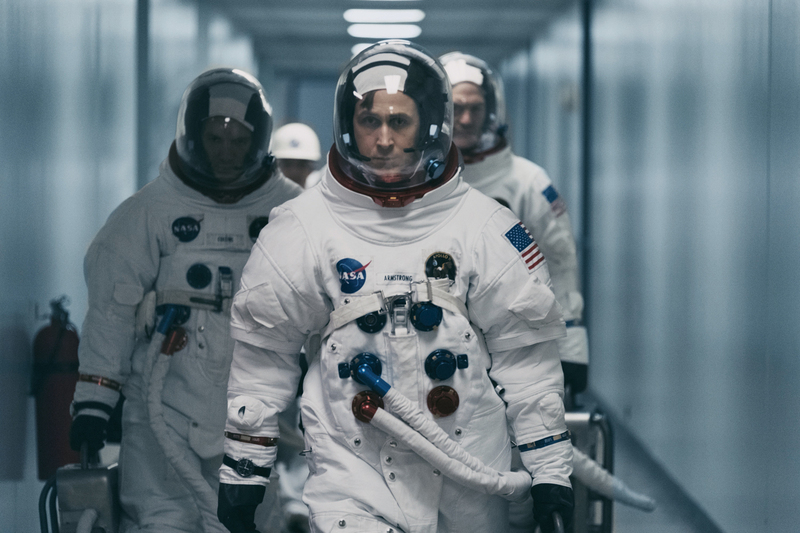 Chazelle was inspired to capture just how visceral, difficult and terrifying this journey was…as well as the sacrifices required to become the first man on the moon. On the heels of their six-time Academy Award®-winning La La Land, Oscar®-winning director Damien Chazelle and star Ryan Gosling reteam for Universal Pictures’ First Man.